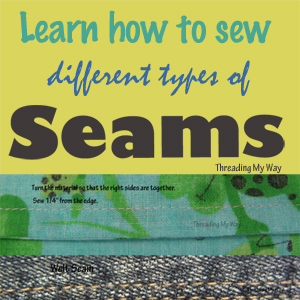 The vast majority of Threading YOUR Way with Threading My Way link parties, are exclusively sewing related. The Blog Tips link party, is obviously not. 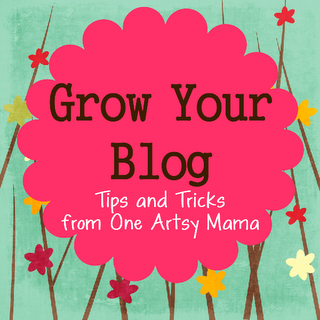 This week, 6 informative posts, written by Amy, from One Artsy Mama, have been added. 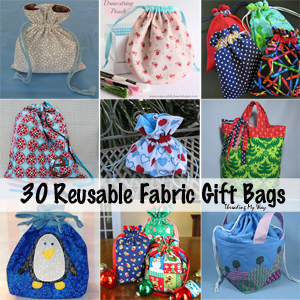 They are all well worth checking out if you have a blog. Since this post is about features, I thought I'd feature the post with tips on getting featured. 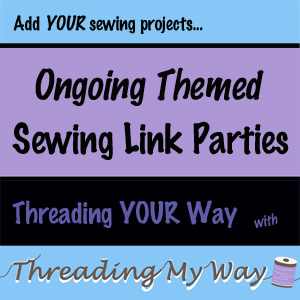 The Embroidery, Stitching and Appliqué link party is almost all sewing related. 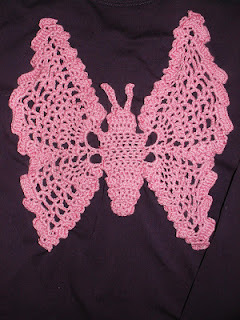 This week a gorgeous, crocheted appliqué was added. 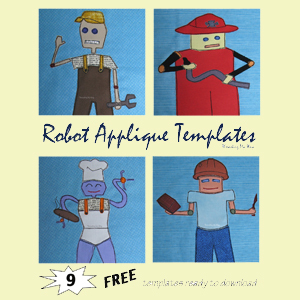 For me, this adds a whole new dimension to appliquéing. 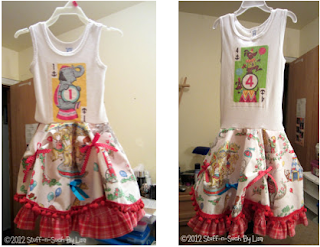 When I began the Softies, Dolls and Toys link party, I envisaged projects that were made in a variety of ways. 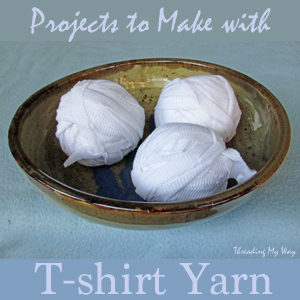 In the main, the projects added have been sewn, with some knitted and crocheted. This week, my daughter, Tash, added this awesome castle, that she and her daughter made. When Tash was a child, we spent a lot of time together, making toys and all sorts of creations, from cardboard boxes and whatever craft items I had to hand and Tash is doing the same with her daughter. I can attest to the fact that this new toy is being well used. 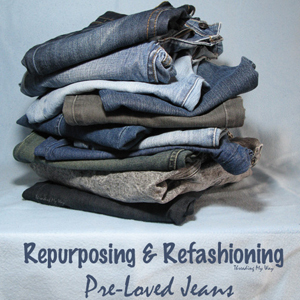 You know I love refashioning, recycling and upcycling. 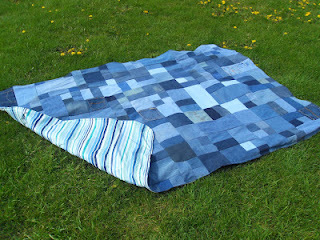 This fabulous picnic blanket, added to the Refashioning with Denim link party, is a great way to reuse denim jeans. I have more than enough jeans, that will no longer fit, to make a blanket. Hmmm... I think I can see a Christmas present being made. 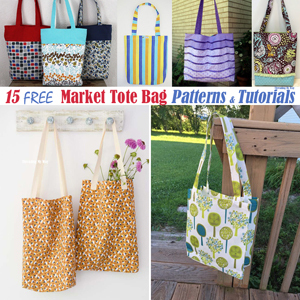 This week's featured blog is Sew Well Maide. Karen, look out for your blog button in my sidebar. 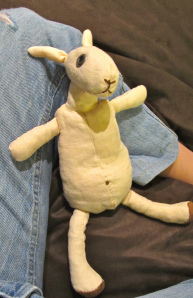 Thank you so much for featuring the Llama Llama Doll. You made my day! Thanks so much for featuring my Carnival Dresses! 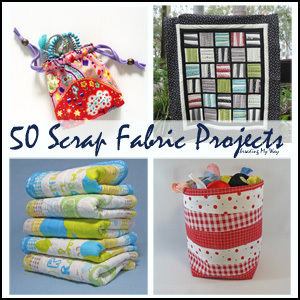 I really love your blog and love looking at all the great projects! Great features this week, Pam! I'm off to visit Amy @ One Artsy Mama. Thanks for sharing! 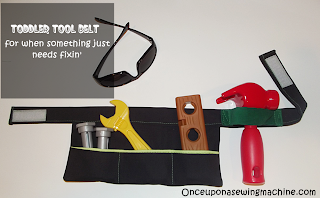 Thanks for featuring our tool belt! I love that little pouch, might have to add it to the list! 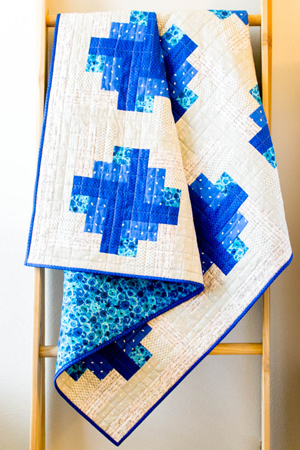 Oh how I love the denim picnic blanket! One of my girls just grew out of her favorite jeans, but still doesn't want to part with them. I said we could give them away, but I saw the look of hesitation in her eyes. Lucky me just came down and looked at your blog and now see what I can do with denim jeans that no longer fit!! Hurray!! My daughter is going to be so excited. Pam, thank you again for the feature! 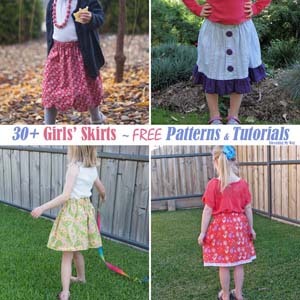 I just love your site with all the link parties. Great projects as always Pam, I love the castle! Pam, thanks for all those beautiful projects you have posted, I see beautiful projects that give me inspiration. Now to surf a bit online to see all those beautiful links that are here. Marisa. Oh I like the picnic blanket!